Cooking with my favorite kiddos. 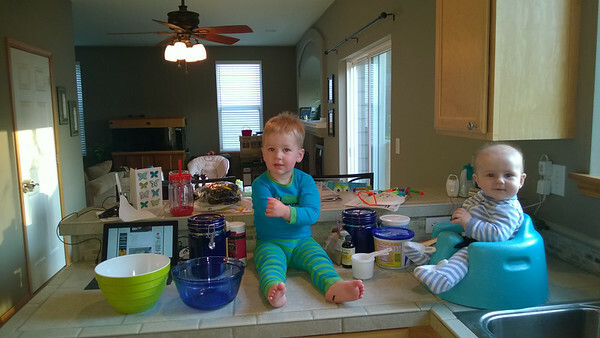 This was a first to have them both on the counter and it was action packed. Cooper loves to stir vigorously, spreading whatever is in the bowl on the counter. Nicholas loves to grab anything within reach, our plant now has a few less leaves and the measuring cups were continually being moved a little further away. 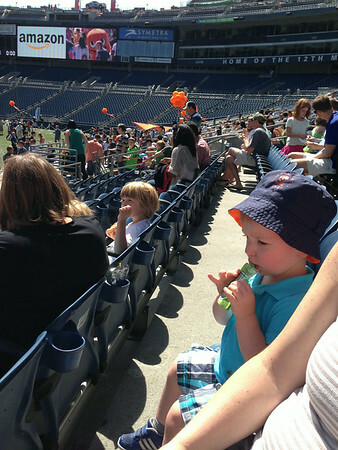 This past weekend we all got a glimpse into what it would be like to watch the Seahawks game from the charter seats at the Amazon picnic. 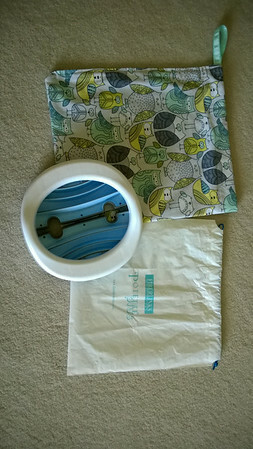 With a little longer nap from the boys, I was able to sew a new bag for Cooper’s portable potty seat. It is funny how my craft projects have changed with having kids, but any chance to be crafty still makes me just as happy.